There is a poem in the check-out aisle and an epic in the end caps. We immerse ourselves in retail and sign on to brands. Our purchases are casting calls for cameos in the story of our lives. Brands are a mystery. A product has certain features and benefits, but a brand is supposed to have magic. That’s where equity begins: the road from what a thing is to what we think it is, the space between need and desire. Which is to say that brands can learn a lot from Hollywood. They have to; they’re in trouble. Each year, the power of the end points in the digital chain, the Amazons and Googles, grows. And each year, the power of the brands themselves to get noticed, to make us choose them no matter what we’re recommended by our bots, declines. Consumers’ attention is not getting longer. We co-curate our lives, participating in a stream of content on our phones that — more and more, each year — does not stop. It’s a simultaneous digital reality overlaid on what we used to call our lives. Brands can only succeed if they are included in our personal bitstreams. There are two ways to do this. First, they can buy their way in: advertising. Second, they can be invited in: given permission to play. And even native ads will be ignored (or blocked) if they are not at least as engaging as the cat videos, vivid news and gossip that surrounds them. To compete, brands have got to become part of the entertainment-industrial complex. They’ve got to be a lot more like the things we choose to do for fun. So every business is now show business. 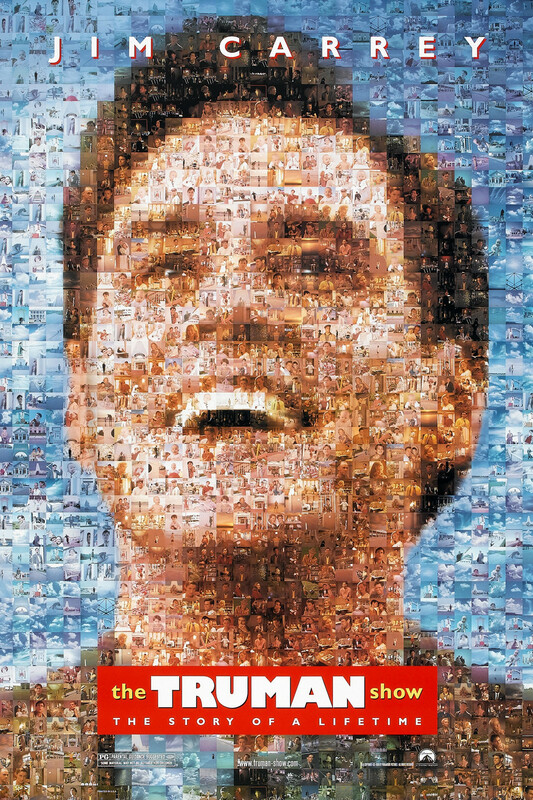 The Truman Show got it half-right: we’re starring in our own realities, sure, but we’re also working hard below-the-line, writing, directing, casting. No wonder we’re so tired. Take the mighty Reese’s Peanut Butter Cup. Hard to improve, you’re thinking, as a bite -on-the-go. But it’s so much more. At a regular clip, there’s a new episode: Big Cup, White Chocolate, Big Cup with Mixed Nuts, Inside Out, Dark Chocolate, Crunchy Cookie, not to mention Miniatures and Eggs and even jars of Peanut Butter. And so on. All with their spotlight splash on the wrapper and the tantalizing “LIMITED EDITION” stamp … Which is the confectionery business’s version of the beta release. Product marketers have always needed “new news,” but they’ve got to do better. They’ve got to think about their product or service as a theatrical production with its own internal logic, like a ongoing serial. This goes for more than CPG. Your software subscription can learn from the best. Who’s best? What follows are some principles that work for the entertainment industry and that any marketer can use. Storytelling is a word so vague it has no soul. And yes, Hollywood tells stories. What I mean here is that the screenplay as an object is more of an architectural diagram or blueprint than an act of storytelling. Hollywood builds well-crafted structures based on repeatable blueprints. A movie set is a world apart, suspended in space. Shows themselves create an alternate reality. That’s the point: we enter a separate peace, a splinter in time. The most successful entertainment properties take world-building to an almost comic extreme, with sequels and spin-offs and merch and conventions and fan fiction and social networks and encyclopedias. But any brand can do this; the best already do. What is niketown but a way to wanderthrough the mind of Nike. Not to mention Legoland. Brands should think of themselves as special editions of Grand Theft Auto, inviting players to get lost in their emotion.Any brand can make a world. Nathan’s and its agency Hello World created a mobile app that recreated the Coney Island Boardwalk and integrated sweeps and promotions. So what: If my brand were theme park, what would it be called? Eighty-seven per cent of scenes in the typical movie contain the hero. S/he’s the proxy for ourselves: the eyes through which we see things happen. We’re self-centered in the moment, and we’re always looking for the point of view. Despite what you’re thinking, that hero usually can’t be brand itself. It’s a very rare product or service that rises to a heroic tier, and consumers know it. In fact, the hero has to be something larger than the thing you’re selling — something more, well, heroic. Take Red Bull. The hero of its outrageous stunts are the maniacs who are jumping out of the planes. Red Bull might help them — it probably does — but it’s not the hero. 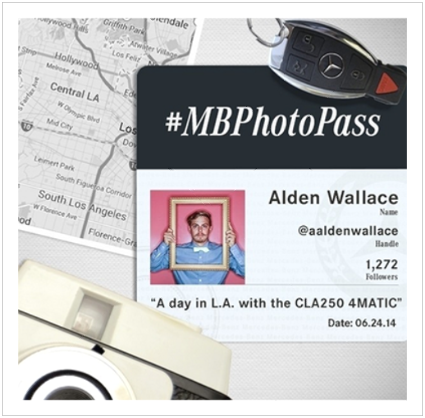 Mercedes Benz’s #MBPhotoPass campaign invited influencers to spin a Mercedes out on an adventure of their choice and broadcast it to the brand’s Instagram feed. IBM’s invested a lot in a mysterious character called Watson. He’s a smart and wily hero, but he isn’t exactly IBM. So what: What major value (love, intelligence, courage, adventure …) is your brand really about? Entertainment projects happen on a meticulous schedule. Broadcast TV releases episodes each week and its seasons are predictable. Streaming services may unleash content eccentrically, but the days and dates are planned. When there’s a new season, we know. It’s not enough to announce new products or features every now and then: they should be scheduled frequently, taking into account competitive dynamics, how long it’s been since the last announcement, and a cadence of novelty. Bayer’s One-a-Day vitamin brand is a master at the continuous newsfeed. They’ve built an interesting series of episodes (new products) in a commodity category, and they do this year after year. So what: Pulse the big openings. What are the episodes of your brand’s upcoming season? And the past. Agile software teams and project-centric work styles have been around for years. But it’s true that Hollywood as an industry has mastered the art of project-centric organization, assembling professionals who are capable of adapting to different environments. Successful brands do the same thing. For example, Delta Air Lines organized cross-functional teams around specific projects like the kiosk or the mobile app, pulling in talent from I.T. to marketing. It builds respect for the customer experience. So what: If you were to become a project-focused marketing organization, what do your projects look like? At one time, every aspiring screenwriter took a seminar run by Robert McKee called “Story Structure.” Joan Rivers was in my class, a few years before her death. McKee had an oddly academic approach to storytelling, layering complexity on top of opacity, but he did have two rules I remember. One, no voiceovers. Two, “Whenever you can, put in a countdown clock.” A time bomb. So what: Where can you put an exploding offer, countdown or real-time customer cage match in your marketing campaigns? If you’ve seen as many Bruce Lee movies as I have — well, there are only three but boy have I seen them, — the wonder of this majestic messenger of pain never ceases to amaze. Even more amazing is the stupidity of his opponents: they attack him one at a time. Their buddies stand around in dull awe. The key to Bruce’s victories is his genius for picking weak links. You can do the same. In your marketing, don’t compare yourself to your real competition but to somebody you know you can beat. Avoid exaggerating your own abilities by diminishing the best — no one but your CEO will believe you. Emphasize your strengths by picking a fight you can win. Domo does this when it says its solution is better than spreadsheets. What isn’t? Case closed. So what: If your brand had to step into the ring with something on a bad day, what would it be? AND FINALLY … ARE YOU READY? … ARE YOU SURE? Another brand that’s built something out of nothing is Crossfit. All through the Open season, when hundreds of thousands of us long-suffering WOD-monkeys slog through our pain, they hold up announcements, release things at certain times, drop cryptic hints about workouts to come … even leak stories about new piece of gym equipment that might (or might not) be released at some point in the (near? far?) distant future. It’s a brand built out of box jumps and anticipation. Can you create some mystery about your product or service? Hint at something to come? Raise an expectation of an outrage? So what: What is your “one more thing”?